The patient is a male appearing to be in his 40s presenting by EMS with what is reported as alcohol intoxication. EMS was called for a patient found down near a bar and reported to “smell of alcohol.” EMS reports that the patient was making crude gestures en route to the hospital. On presentation to the Emergency Department, the patient opens his eyes to voice, but does not follow commands and is unable to provide any information as to what happened. No past medical or social history is able to be obtained due to the patient’s altered mental status. CT scan of the head showing a large left subdural hematoma with a 9mm left-to-right midline shift with uncal herniation, as well as scattered areas of subarachnoid hemorrhage and a small extra-axial hematoma over the right middle cranial fossa. The patient is a well-developed male lying in bed in mild distress. He does not smell of alcohol. The patient has evidence of an abrasion to his right ankle, left knee, and right forearm without any other signs of trauma or deformities. On neurologic exam, the patient opens his eyes to voice but is noted to have a dysconjugate gaze. Pupils are reactive (4mm to 3mm) and equal. He does localize briskly across midline to painful stimuli with all four extremities but does not follow commands. He is non-verbal and does not respond to questions with any vocalization. His strength and coordination cannot be assessed due to mental status. The patient’s GCS is 9 (E3V1M5). The remainder of the exam is unremarkable. The patient presented with concern for intoxication. On examination, he had a dysconjugate gaze, some minor abrasions on his lower extremities, and no other signs of trauma. However, his mental status and physical exam did not appear congruent with the EMS report. Based on this, there was concern for a medical cause for his altered mental status, so a broader workup was initiated, including blood work and a CT scan of the head. The CT scan showed evidence of a large subdural hematoma with midline shift. Both trauma and neurosurgery were immediately consulted. The trauma team repeated the primary and secondary survey, which did not reveal any further signs of trauma, and additional cross-sectional imaging was negative for any additional traumatic injuries. The patient was then taken directly to the OR for emergent decompressive hemicraniotomy. He was transferred to the Neuroscience Intensive Care Unit for further management. On ICU day 1, the patient self-extubated and was weaned to room air. However, on ICU day 4, the patient had an acute decline in mental status and became hypoxic and tachycardic. He was reintubated and transported to the OR where he was found to have reaccumulated a subdural hemorrhage and developed a new epidural hemorrhage. Despite reevacuation, the patient continued to have a low GCS postoperatively. Due to his very poor prognosis, the patient’s family decided to withdraw support on ICU day 11 and the patient subsequently expired. Alcohol use is implicated in up to 12% of all ED visits yearly, with uncomplicated alcohol intoxication comprising more than 600,000 visits each year. EMS frequently transports intoxicated, altered patients to the ED, and determining an appropriate workup can be difficult. During a busy shift, it can be tempting to attribute a diminished mental status to simple alcohol intoxication. Many of these patients cannot provide a history and collateral information may be poor, making it important to consider a broad differential, including toxidromic, traumatic, metabolic, and infectious etiologies. In the above case, the patient’s presentation was not completely consistent with alcohol intoxication, and the patient’s ethanol level was ultimately negative. His large subdural hematoma (Figure 1) was the cause of his diminished mental status, and required emergent operative intervention. Traumatic brain injury (TBI) is one of the leading causes of death and disability in the United States. It covers a wide clinical spectrum, from a mild concussion to more severe presentations, such as the patient discussed above. TBIs include subdural hematomas, epidural hematomas, traumatic subarachnoid hemorrhages, cerebral contusions, diffuse axonal injury, and penetrating injuries, such as from gun shot wounds. In the United States alone, over one million Emergency Department visits each year can be attributed to TBIs, making their management of significant importance for the ED physician. Table 1: Key recommendations for Emergency Department management ofpatients with severe TBI. Initial management of patients with a known or suspected traumatic brain injury (TBI) should follow the ABCs by ensuring adequate oxygenation, ventilation, and circulation. Rapid sequence intubation is safe in patients with a TBI, although the act of intubation itself can cause complications specific to these patients and thus should be thoughtfully performed based on the clinical scenario of the individual patient. If a patient requires intubation, it is important to obtain an expedited neurologic exam before sedation. However, this should not delay intubation if the patient is hypoxic or failing to protect their airway. Additionally, hypoxemia (PaO2 < 60mmHg) is a known cause of secondary brain injury, and independently increases morbidity and mortality for patients presenting to the ED with a TBI. As such, if a patient is being intubated for a depressed mental status or their expected clinical course alone, care should be taken to avoid any iatrogenic hypoxemia during the intubation. The act of laryngoscopy and subsequent tracheal manipulation can cause adrenergic stimulation and a resultant reflex tachycardia and hypertension. For the patient with a TBI, this can cause an increase in intracranial pressure (ICP), leading to morbidity and mortality. Pretreatment with lidocaine to attenuate this rise in ICP prior to intubation is somewhat controversial and is not routinely recommended. Post-intubation sedation medications, such as fentanyl and propofol, are routinely recommended for patients with a TBI. By treating pain, analgesic medications reduce the expected hypertensive and tachycardic response, thereby blunting any rise in ICP that could be attributed to pain or agitation. Additionally, in patients with signs of increased ICP, the head of the bed should be raised to 30 degrees immediately post-intubation. Post intubation ventilatory management is critical for patients with TBI. Historically, it was taught that patients with increased ICP should undergo prophylactic hyperventilation. As a patient’s PaCO2 decreases, cerebral chemoregulators cause a reflex decrease in cerebral blood flow. This can cause a decrease in ICP by up to 25%. However, if a patient is persistently hyperventilated, the lack of cerebral blood flow actually increases morbidity and mortality. Thus, routine hyperventilation of TBI patients is not recommended. Conversely, hypoventilation and subsequent hypercapnea can lead to cerebral vasodilation and subsequent cerebral edema. Ultimately, a normal PaCO2 of 35 - 45 mmHg should be targeted in ventilated patients with a TBI, making end-tidal CO2 monitoring in the ED important in these patients. Hemodynamic monitoring and blood pressure control is also critical for patients with a traumatic brain injury in the Emergency Department. A patient’s cerebral perfusion pressure (CPP) is dependent upon mean arterial pressure (MAP) and ICP, and is defined as: CPP = MAP - ICP. Thus, hypotension causes a decrease in cerebral blood flow, which can worsen brain ischemia. For TBI patients, hypotension is defined as a single blood pressure reading < 90 mmHg systolic, and is independently linked to increased mortality and poor neurologic outcomes. Patients with known TBI should receive laboratory testing to evaluate their coagulation status in order to stratify the risk of hemorrhagic progression. A typical order set would include a CBC, platelet function assays, and coagulation factor assays. Platelets should also be quantitatively measured with a CBC to assess for any thrombocytopenia that may contribute to worsening of their bleed. In general, patients with severe thrombocytopenia (platelets <50k) with intracranial hemorrhage should receive a platelet transfusion. Platelets should also be qualitatively evaluated with platelet function assays, such as a TEG, an aspirin function test, P2Y12 function test, or a bleeding time, especially in patients taking anti-platelet medications. However, there is some debate on the utility of platelet transfusions in patients with nonfunctioning platelets due to little evidence to suggest improvement in clinically significant outcomes. Given the common use of oral anticoagulants in certain patient populations, patients with a TBI should also receive a PT/INR and aPTT in order to further assess their coagulation cascade and need for potential reversal. Depending on the agent or etiology implicated in a patient’s coagulopathy, many options exist for the reversal of coagulopathy, including vitamin K, protamine, fresh frozen plasma (FFP), and prothrombin complex concentrates (PCCs), as well as medication-specific reversal agents. In general, surgical management of TBI is dictated by the type of lesion (Table 2)., Our patient had a subdural hemorrhage with 9 mm midline shift and was therefore a candidate for emergent surgical decompression and evacuation. However, not all traumatic brain injuries will be managed with aggressive interventions. Neurosurgical consultants will often recommend serial neurologic exams and a repeat head CT at six hours for patients diagnosed with new onset intracranial hemorrhage who do not meet criteria for emergent surgical or medical intervention. In sum, patients who present with altered mental status may have a variety of medical issues, ranging from simple alcohol intoxication to a neurosurgical emergency. Emergency physicians must maintain a high degree of clinical suspicion so as not to miss reversible causes of altered mental status, such as an acute subdural hematoma. For patients with traumatic brain injuries, along with neurosurgical consultation, the management of the patient’s airway, blood pressure and coagulation status are key acute interventions initiated in the Emergency Department. Table 2: Indications for surgical intervention in patients with TBIs. Adopted from Summary of Guidelines for the Surgical Management of Traumatic Brain Injury, 2006. Pletcher MJ, et al. 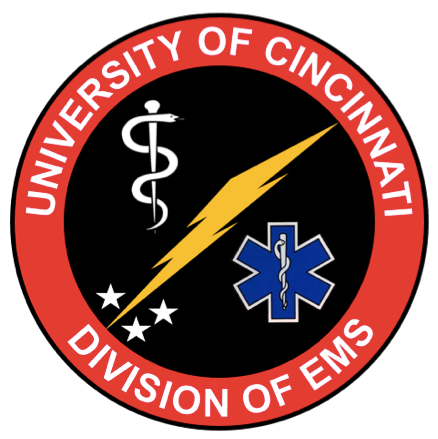 “Uncomplicated alcohol intoxication in the emergency department: an analysis of the National Hospital Ambulatory Medical Care Survey.” Am J Med. 2004; 117(11): 863. Faul et al. Traumatic brain injury in the United States: emergency department visits, hospitalizations and deaths 2002-2006. CDC, National Center for Injury Prevention and Control, 2010. The Brain Trauma Foundation. Guidelines for the Management of Severe Traumatic Brain Injury. 3rd Ed. J Neurotrauma. 2007. 24:1 supp. Robinson N, et al. “In patients with head injury undergoing rapid sequence intubation, does pretreatment with intravenous lignocaine/lidocaine lead to an improved neurologic outcome? A review of the literature.” Emerg Med J. 2001 Nove; 18(6): 453-7. Zammit C, Knight WA. Severe traumatic brain injury in adults. Emerg Med Pract. 2013. 15(3): 1-28. Beynon, Christopher, et al. “Point of care coagulation testing in neurosurgery.” Journal of Clinical Neuroscience. 2015 Feb, Volume 22 (2): 252-257. Anglin CO, et al. “Effects of platelet and plasma transfusion on outome in traumatic brain injury patients with moderate bleeding diatheses.” J Neurosurg. 2013 Mar; 118 (3): 676-86. Joseph B, et al. “A prospective evaluation of platelet function in patients on antiplatelet therapy with traumatic intracranial hemorrhage.” J Trauma Acute Care Surg. 2013 Dec; 75 (6): 990-4. Bullock MR, et al. “Surgical management of acute subdural hematomas.” Neurosurgery. 2006 Mar; 58(3): S16-24. Summary of Guidelines for the Surgical Management of Traumatic Brain Injury. Neurosurgery. 2006 58:S2 1-62.